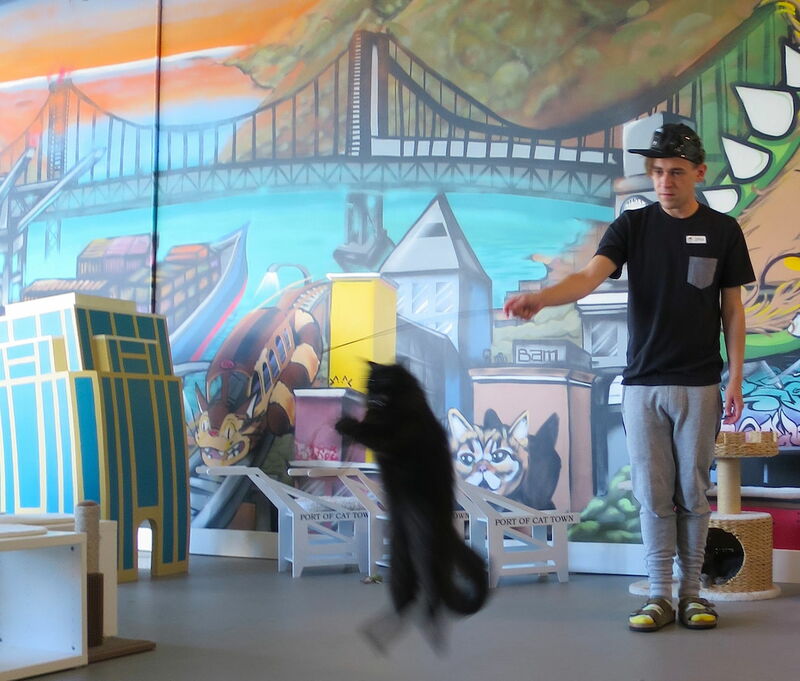 We Visit Oakland’s Cat Town Cafe, the First Cat Cafe in the U.S.
For years now, we’ve been repeatedly tantalized by the news — which, time after time, proved to be false — that a cat cafe was about to open in some American city. We’ve long known that such cafes exist overseas. 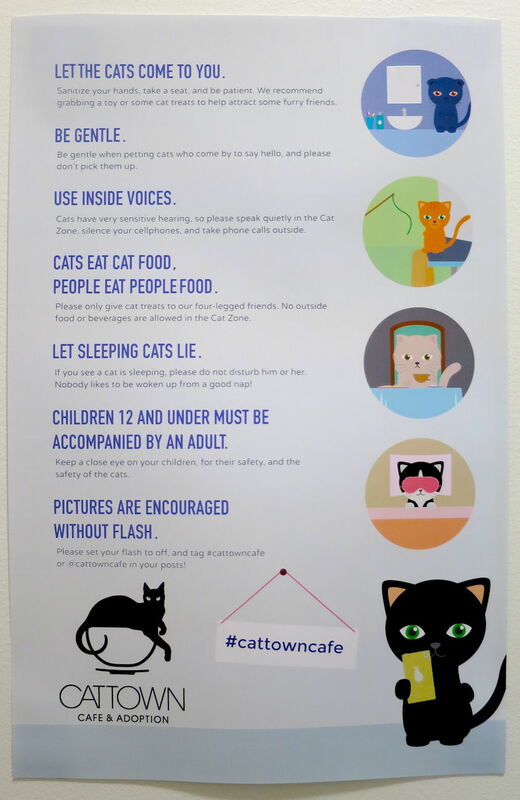 Tokyo, Dubai, Bangkok, Budapest, Vilnius, Copenhagen, Paris, London, Chiang Mai, Ontario, Seoul, Berlin, Taipei, Montreal and beyond: Cat cafes galore. But in the land of the free? Null, zero, zilch. Until now. 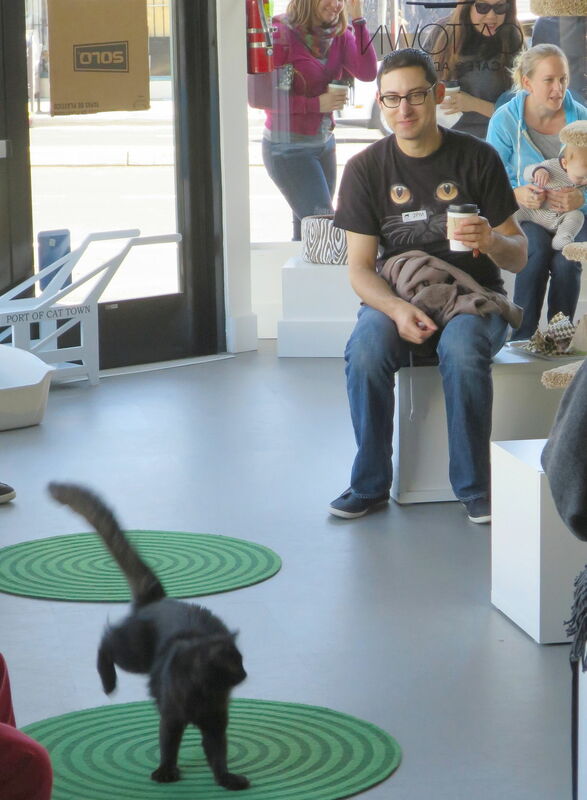 The USA’s first-ever cat cafe had its soft opening on Oct. 25 and is now up and running. And where? 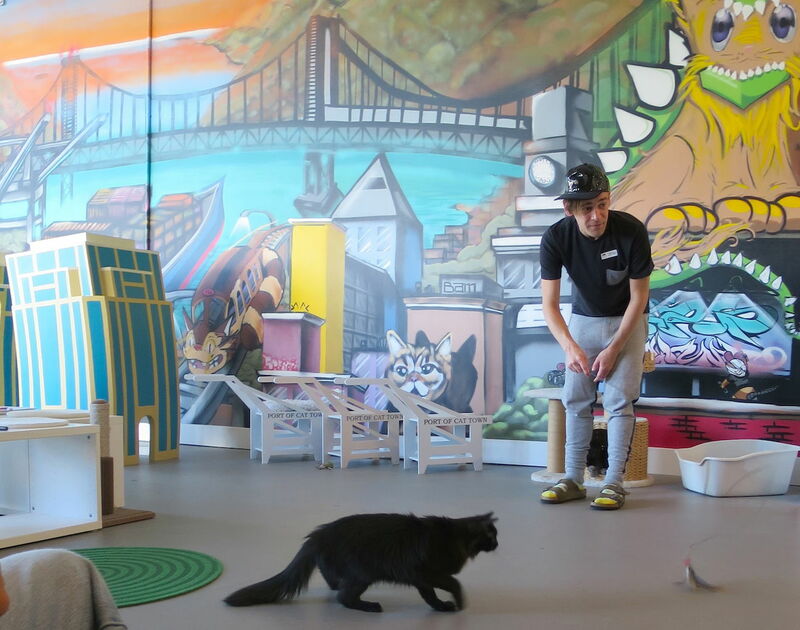 Which innovative city beat to the punch all those others — were lookin’ at you, Seattle, Denver, Cleveland, Portland, San Diego, San Francisco and NYC — that currently have cat cafes in the works? 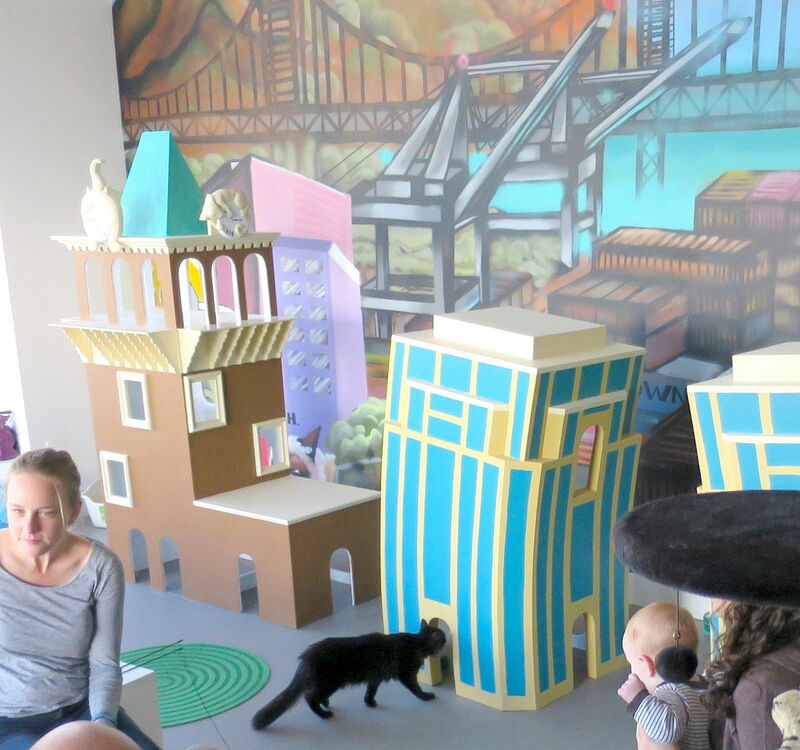 Festooned with murals and artisanal play structures straight out of an Oakland-skyline dreamscape, Cat Town Caf├® is the interactive, pat-and-snack sector of an Oakland-based nonprofit, also called Cat Town, which since 2011 has been rescuing and fostering especially sensitive, hard-to-place, at-risk cats in partnership with Oakland Animal Services, the city’s overburdened and under-resourced municipal shelter. 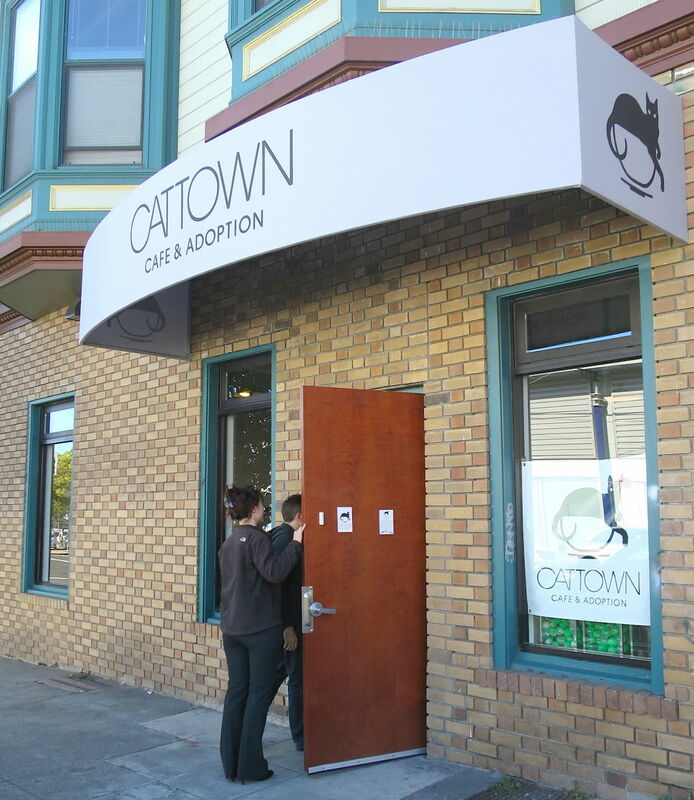 “Our mission is to get cats out of the Oakland shelter,” says co-proprietor Ann Dunn, who volunteered at OAS for several years before founding the Cat Town nonprofit. 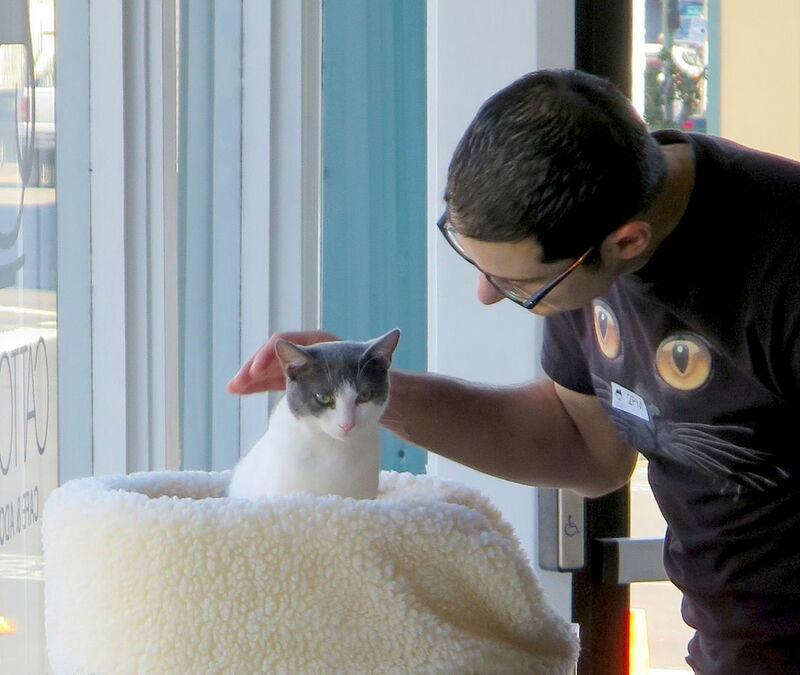 The rotating groups of felines with whom guests can socialize at the cafe are former shelter cats. 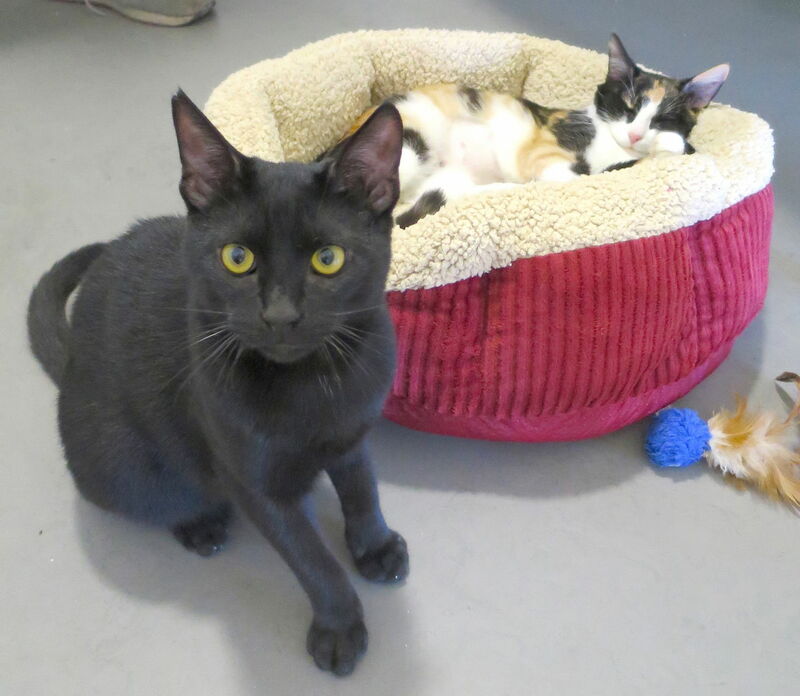 Dunn and her colleagues hope human visitors will fall in love with them and adopt. They’re carefully preselected based on their personalities and level of sociability, and have undergone a series of screenings to ensure “that they won’t be too stressed out in here,” Dunn explains. 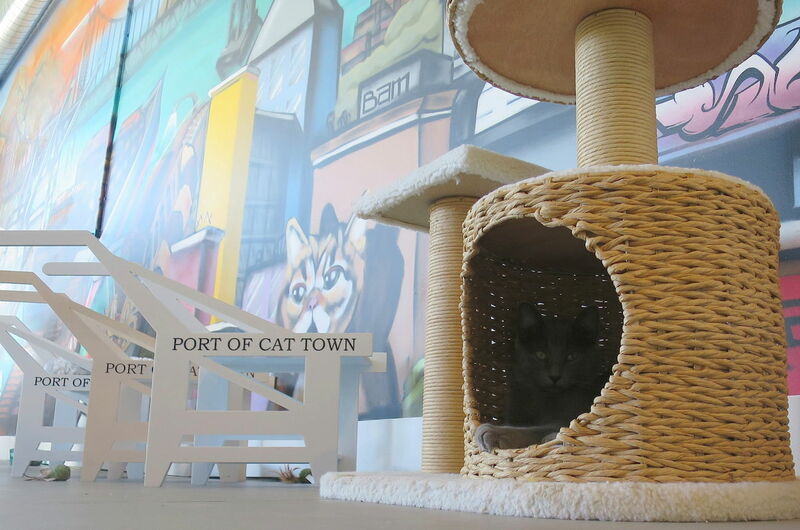 Spending an hour with about 20 fellow human guests and about 10 cats in Cat Town’s colorful Cat Zone is officially free, but only guests with reservations (for which a $10 donation is required) are guaranteed admittance. 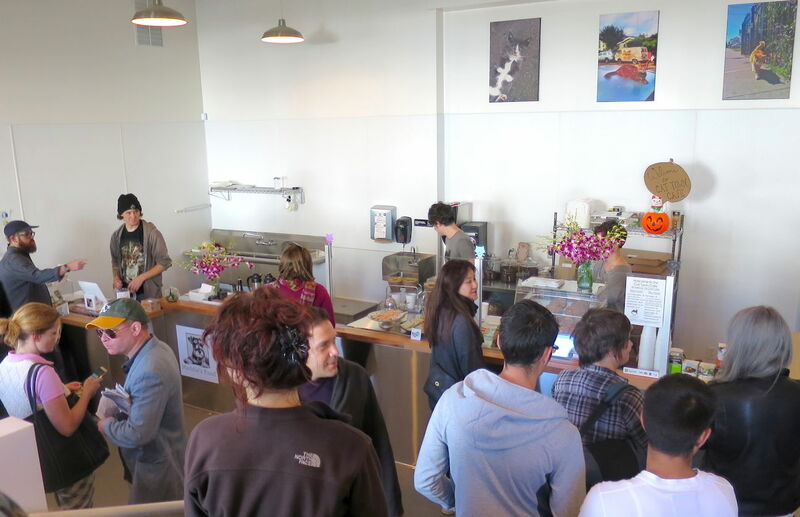 The cafe’s first two weekends have been booked solid, so only guests with reservations could enter. 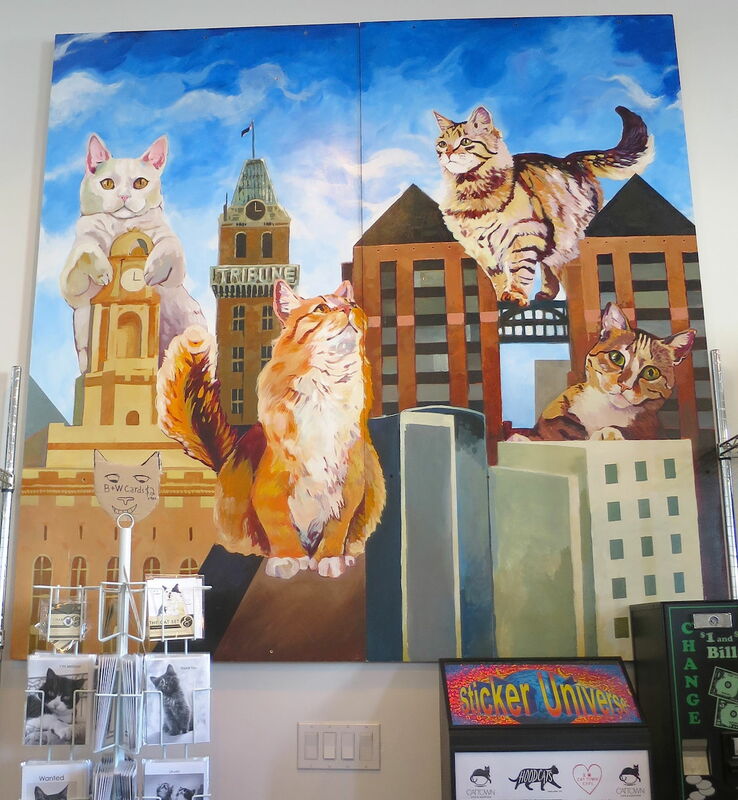 In an airy entryway, guests can buy cat-related art and gifts, locally baked snacks and locally roasted Bicycle coffee while waiting to be ushered into the 2,200-square-foot Cat Zone. 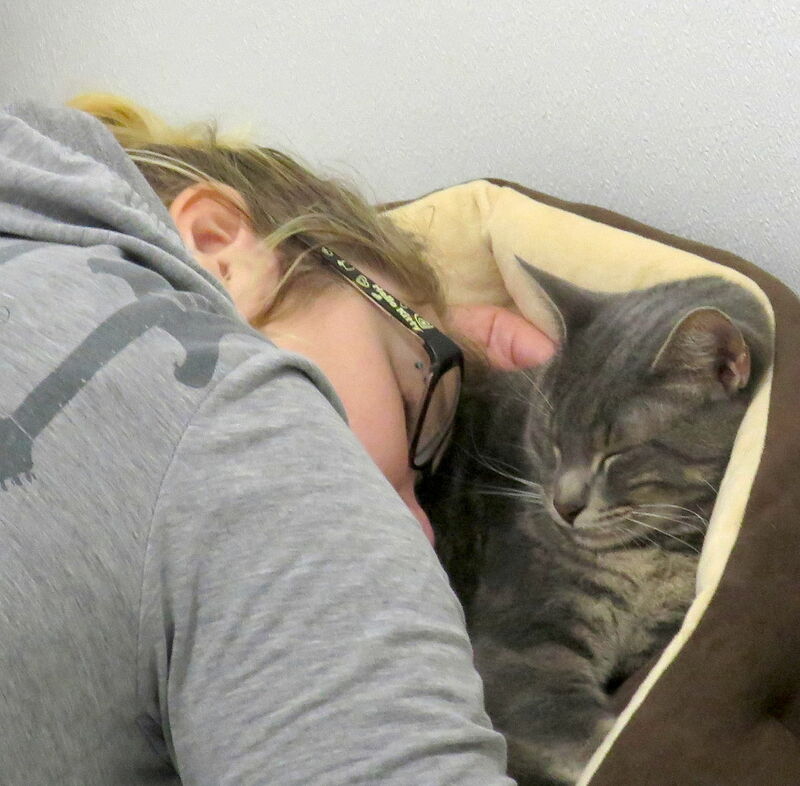 The smaller of its two rooms contains kitty beds and kitty litters. 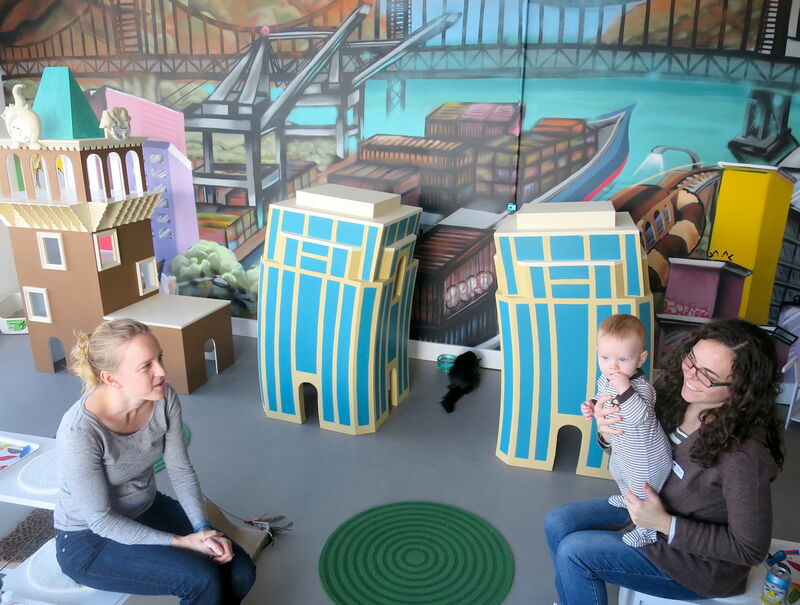 The larger room has toys, play structures and plenty of seating for felines and humans alike. 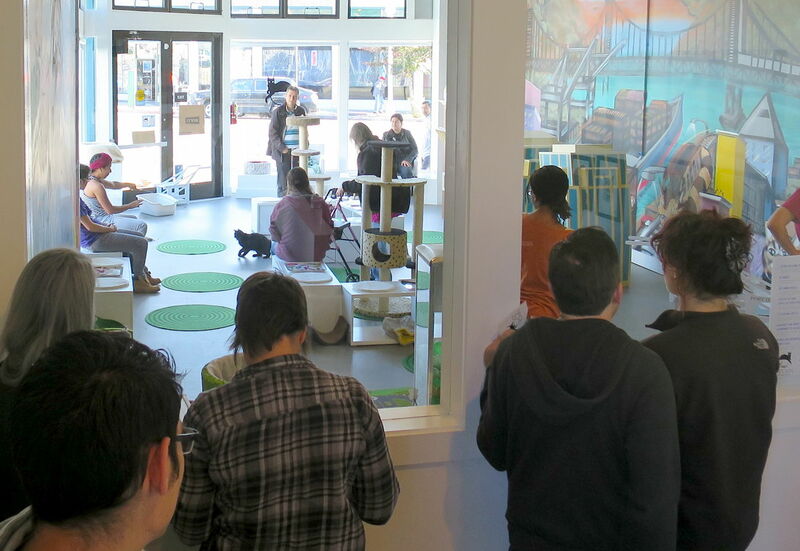 In the Cat Zone, guests can also buy dehydrated treats from Oakland-based raw cat-food purveyor RAWR. 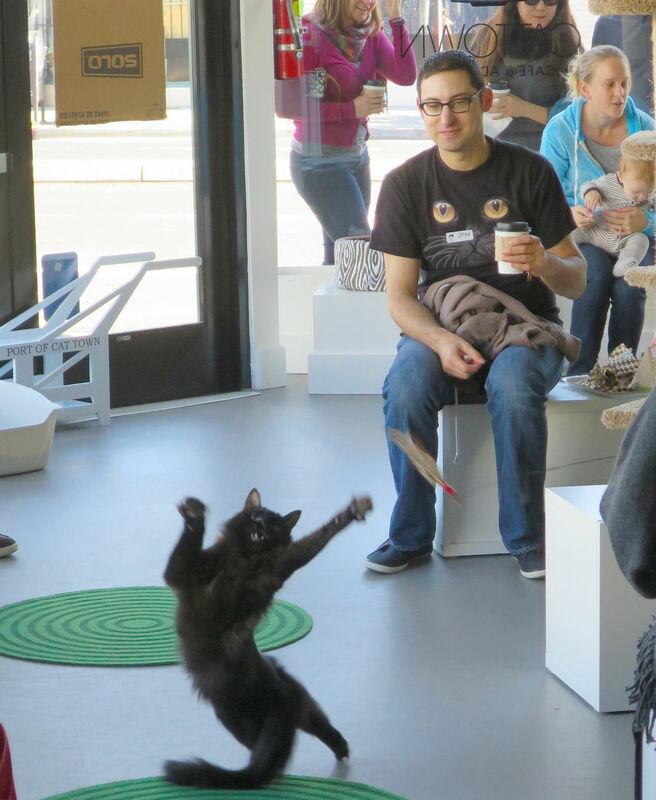 “We’re the only rescue organization that’s doing anything like this,” Dunn says as one cat delights in being petted by a human visitor, another curls up under the chair of a man reading a book, and another chases a feather attached to a string pulled by several human visitors at once. 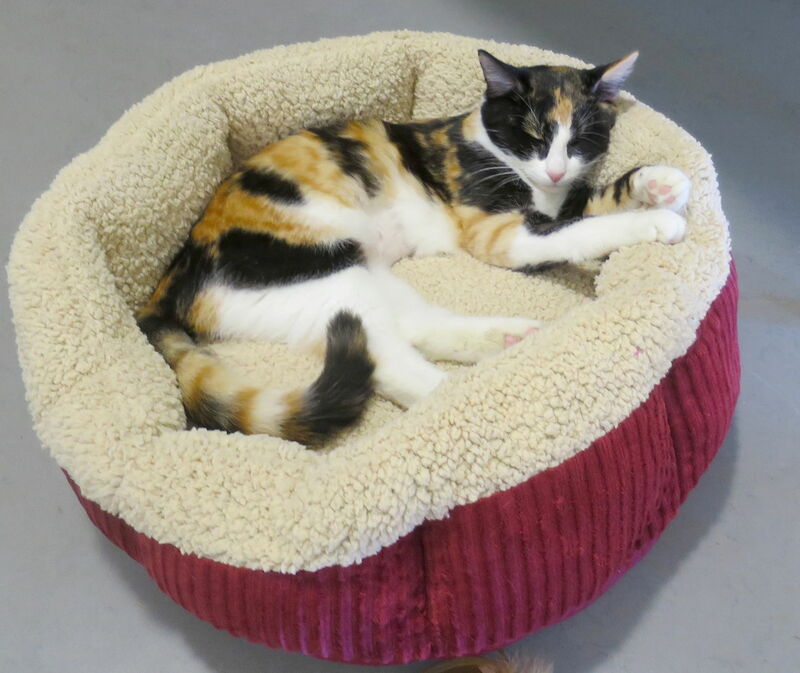 As a calico and a tortoiseshell sleep soundly side by side — “Let sleeping cats lie” is one of several rules posted by the door — a sleek gray cat prowls in and out of a skyscraper-shaped play structure as a baby watches, rapt. 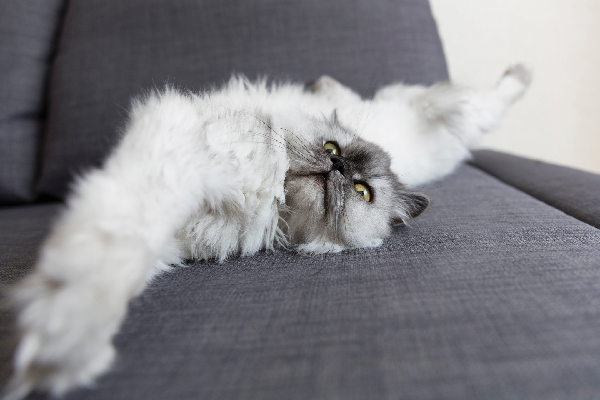 Japan’s cat cafes are buzz magnets, “but the Japanese cat-cafe model is such that the cats are living their lives in the cafe spaces. That’s kind of depressing to me. 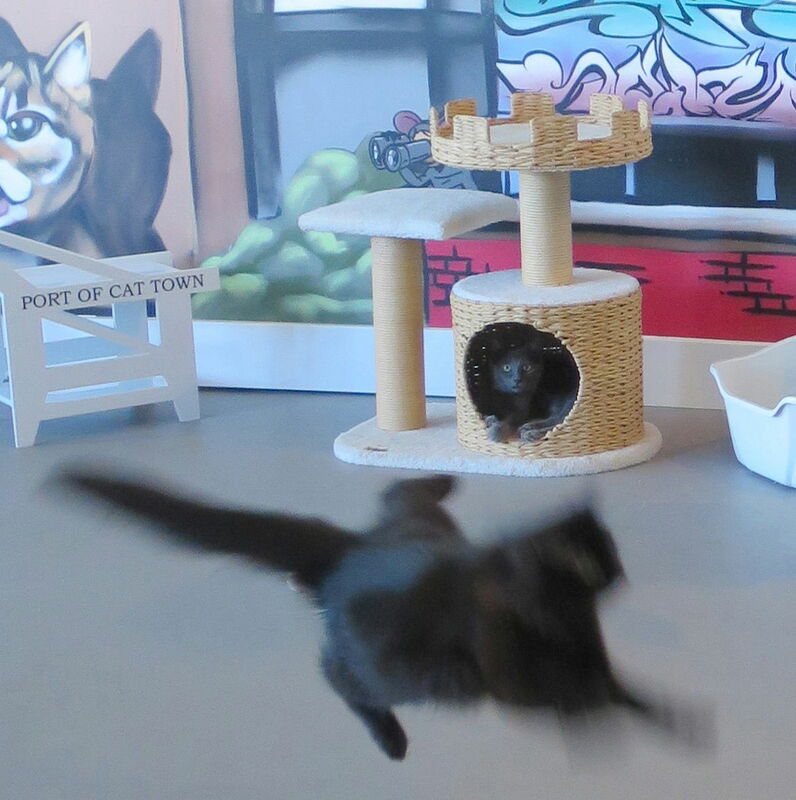 I’d rather have the cats skip this whole cafe step and go directly from the shelter to adoptive homes. 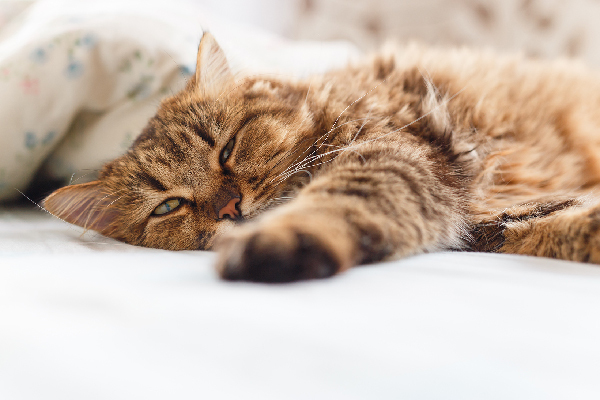 “The Japanese model stems from the idea that Japanese people tend to live in very small spaces in which they’re unable to have pets,” she says. 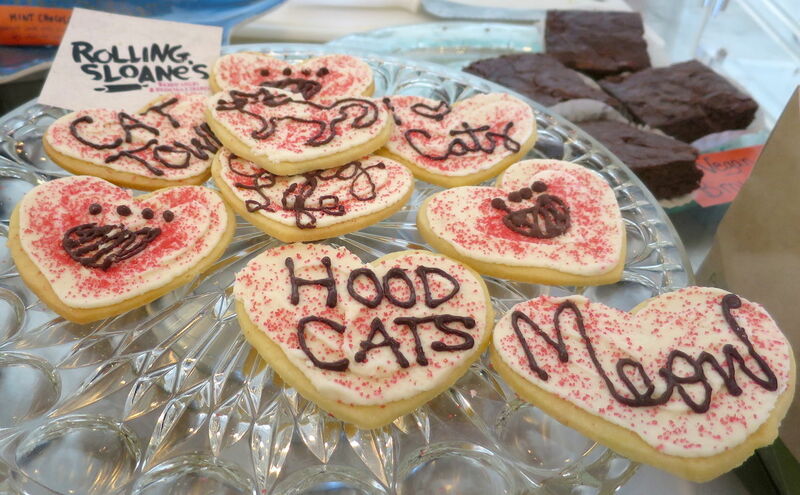 “The cat cafe is the way they can get their cat fix. 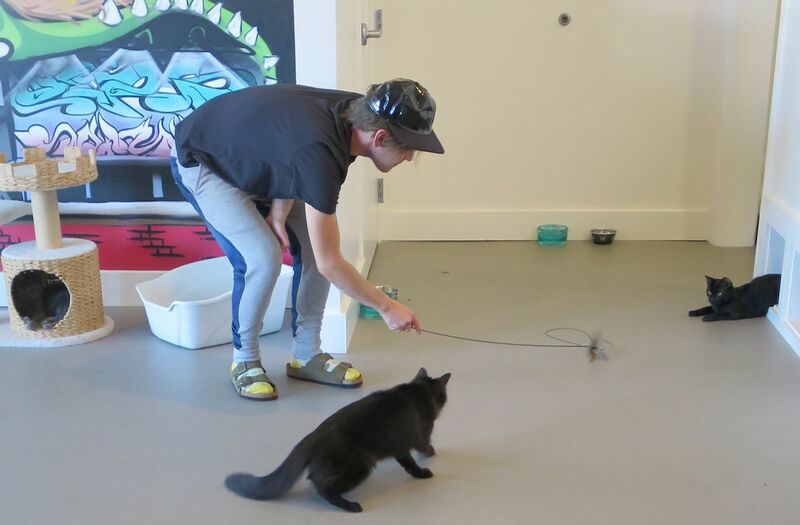 So a Japanese cat cafe is a service to the human visitors, but maybe it’s not in the best interest of the cats. 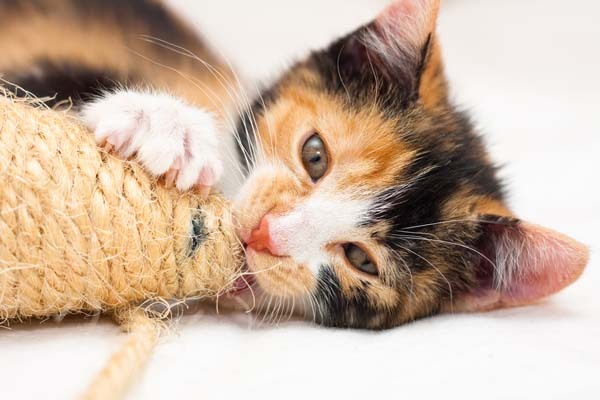 “We wouldn’t do this at all if we didn’t think it would get the cats a ton of exposure and thus get them adopted more quickly,” she says. 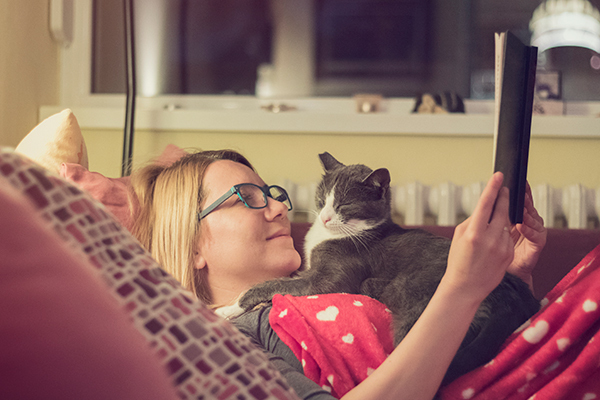 Do the cats enjoy the company of bearded hipsters, tattooed cyclists and other new human friends?